From Albemarle to Buckingham: One Harris Family | slate river ramblings . . . .
My ancestor, John M. “Jack” Harris, came to Buckingham County c. 1819, settling on 800 acres along Sharps Creek which he acquired from his father, Benjamin Harris of Mountain Grove, Green Creek, Albemarle County. Three of Jack’s brothers, Benjamin, Bushrod, and James, also settled in Buckingham County. Only James stayed in the county for the remainder of his life, dying at his farm, Locust Grove, in 1872. Jack and James left many descendants in Buckingham County; with one exception, they descend from daughters who intermarried with numerous, well-established families: Allen, Ayres, Turner, Miller, Ford, Chambers, Horsley, Steptoe, Boatwright, Layne, and Bolling. For more about the Albemarle roots of this Harris line, please consider reading my article, “Dots and Dashes: The Harris Family Cemetery and Lives of a Few of Its Residents,” in the 2012 issue of the Magazine of Albemarle County History. 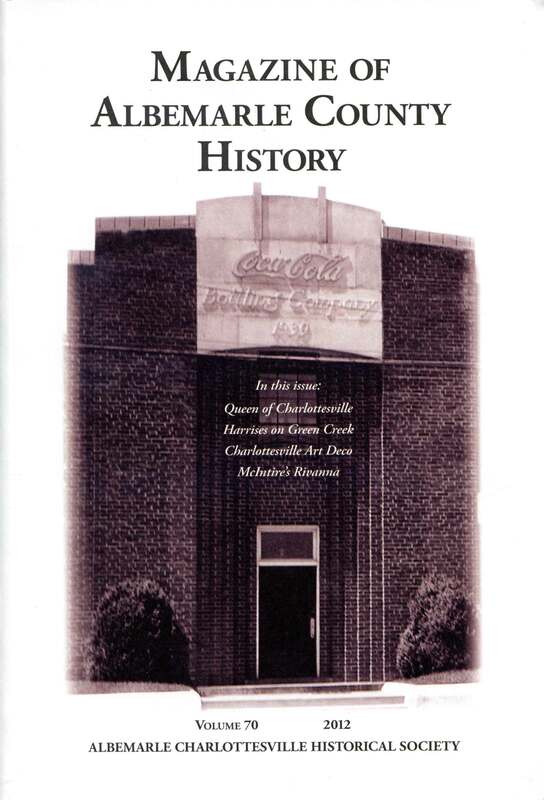 You can purchase it online from the Albemarle Charlottesville Historical Society. Doris,, Do not know if you get this or not. Let me know. Ed got me into it. I know there is connection to the Harris and Ayres families…….Aunt Janie, who was a Wood and whose mother was a Harris, married my Uncle Julian, daddy’s brother…….she told me when I married that this was a “good family”……..and a similar connection to the Marks family. I have also seen connections of the Ayres & Dunkum families generations before. However, the Dunkums for whom we are descended arrived in this country in the late 1700’s to work on construction of UVA. Have heard they worked on the Rotunda but documents prove they were paid but not what area. My cousin , Elizabeth Jane Charlton Guthrie who died this week, documented this. Will write a note soon. Busy getting ready for picnic this evening. janet ps, By the way, I love these Slate River Ramblings. I want to read the extended article about the Harris family in detail but have been busy.